Venom® DRIVE series NiMH batteries are engineered for the demanding requirements of todays RC car, truck and boat applications. Utilizing the latest in Nickel Metal Hydride technology and select materials for improved performance, safety and cycle life: DRIVE provides premium and reliable energy to power your passion. 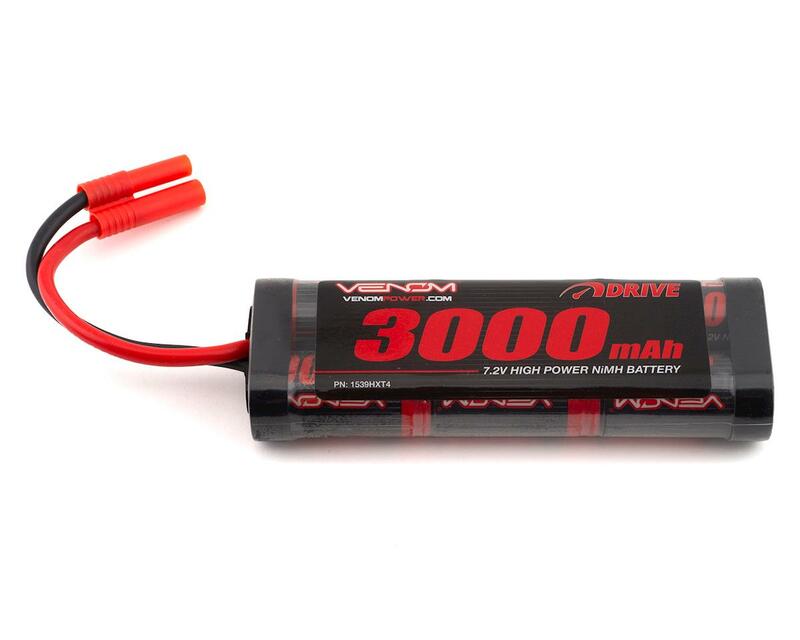 This Venom® 7.2V 3000mAh NiMH battery with HXT 4.0mm is perfect for most Redcat Racing® 1/10 brushed RC boats, 2WD and 4WD cars, trucks and buggies. The preinstalled HXT 4.0 mm connector allows for plug and play use with todays most popular Redcat Racing® RC vehicles. Available in a wide range of sizes, capacities and C rates there is a Venom® DRIVE battery to suit most applications. As an industry leader in RC batteries and chargers for over a decade, Venom® is a name you can count on for the power and performance you demand.